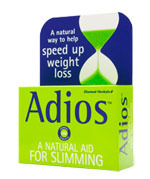 Adios is one of the most popular UK slimming products that is available to buy from locations on the high street and via the web. Adios is aimed at the lower or budget end of the weight loss market. If you are looking for cheap diet pill Adios is the weight loss product for you – but does cheap diet pill equate to effective weight loss product. Adios can be purchased for a little as £5 and does rather point to the theory of you get what you pay for. 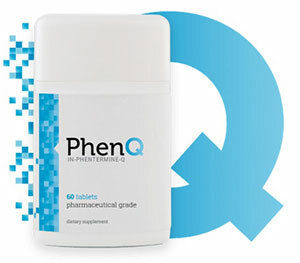 Premium diet pills and weight loss products usually carry a premium price tag and justifiably as clinical research and studies cost money. Adios means goodbye in Spanish – but does this mean goodbye to your extra fat or goodbye to your fiver. Adios is fat burner and positions itself as a natural herbal remedy for losing weight. Using Adios can help speed up weight loss by acting on your body’s metabolism (helping to speed up the rate at which your body converts fat in your body into energy). When taken as part of a calorie-controlled diet with exercise, this can lead to weight loss – according to the Adios website. Startlingly few amount of ingredients and nothing that packs too much of punch which is probably the reason for the cheap price point. Neither harms nor cures a disappointing weight loss product. Adios has a fine reputation for safety and plays strongly on the natural approach to weight loss – possibly to mask the fact that it is not is the same league as its rivals.